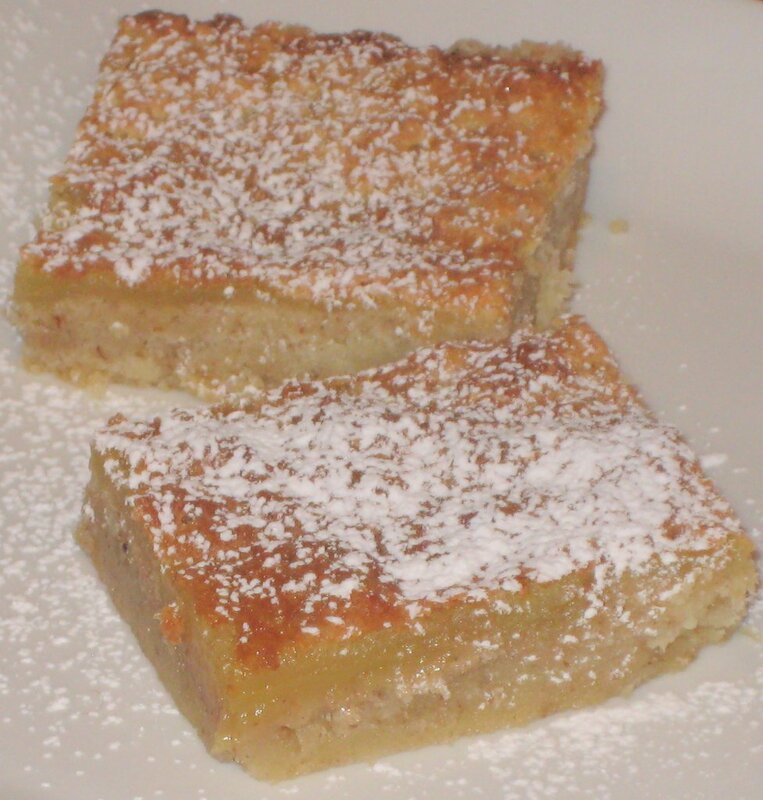 My Maple Pecan Shortbread Squares recipe was inspired by the much loved Lemon Squares. It has a pecan shortbread cookie and a yummy, gooey, maple layer with just a hint of orange that magically bakes into the middle of the shortbread. You have to use the real maple syrup for this recipe. There are no shortcuts or artificial ingredients. Measuring the nuts by weight is more accurate since 2 ounces of pecans will be a different dry measure if you’re using whole, chopped or ground nuts. Place the flour, pecans, baking powder and salt in the bowl of your food processer and blend to get the pecans to a fine crumb. Using the food processor to grind the nuts with the flour results in a finely textured dry mix as the flour will absorb some of the oils from the nuts and blend it them together. In a large bowl combine the eggs and sugar and beat well. Add the maple syrup, orange juice and zest and continue beating. Add the flour and beat until fluffy.